Five years after America first learned of the Operation Fast and Furious federal gunwalking program, new information about the extent of the scandal continues to bubble to the surface. 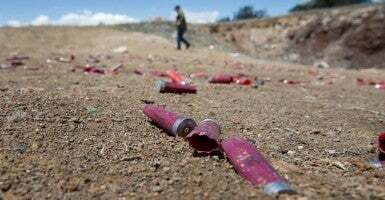 According to Justice Department documents obtained by conservative watchdog Judicial Watch, Fast and Furious weapons have seen wide use in Mexican drug cartels, with reports suggesting the guns are tied to at least 69 killings. Originally conceived by the Bureau of Alcohol, Tobacco, Firearms and Explosives in 2009, Operation Fast and Furious was created to deliberately sell guns to illegal buyers near the Mexican border, which the ATF hoped to trace back to Mexican cartels. The operation passed approximately 2,000 guns into the hands of illegal buyers while achieving minimal law enforcement ends. The Justice Department documents recorded only 94 Fast and Furious firearms recovered in Mexico between December 2012 and March 2016. Thirty-seven of these guns were recovered just last year, according to the Justice Department documents. Of these 94 firearms, the documents indicate, 20 were involved in “violent recoveries.” These included several mass murders, such as one reported shooting June 30, 2014, in Tlatlaya, Mexico, in which 22 people were killed. One .50 caliber rifle was recovered from the hideout of the notorious Sinaloa Cartel kingpin Joaquín “El Chapo” Guzmán when he was rearrested Jan. 11. “These revelations confirm just how dangerous this reckless law enforcement operation was that happened under [former Attorney General] Eric Holder’s watch—and that the administration has tried to hide by refusing to turn over internal documents and communications about it,” Hans von Spakovsky, a senior legal fellow at The Heritage Foundation, said. Judicial Watch President Tom Fitton said in a statement that he expects repercussions from Fast and Furious to continue in the future. The Department of Justice did not respond to The Daily Signal’s request for comment. Andrew Egger is a member of the Young Leaders Program at The Heritage Foundation.